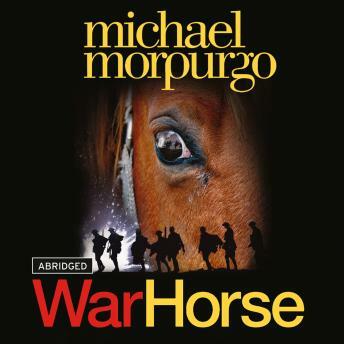 Michael Morpurgo's classic tale, capturing the power of the human spirit. Beautifully performed by Dan Stevens, 'War Horse' has taken the world by storm. First published back in 1982, the book was adapted to the stage and was performed at the National Theatre and on Broadway. At the outbreak of World War 1, Joey, young Albert's beloved horse, is sold to the cavalry and shipped to France. He's soon caught up in enemy fire, and fate takes him on an extraordinary odyssey, serving on both sides before finding himself alone in no man's land. But Albert cannot forget Joey and, still not old enough to enlist, he embarks on a treacherous mission to the trenches to find him and bring him home.